Natural Building is a huge amount of fun! It’s a great opportunity to meet like-minded people, make new friends and work in wonderful places on inspiring buildings. Natural Building involves intuition as well as skill, knowledge, common sense, experience and practice. The majority of our students do not want to train full time as they have other commitments. 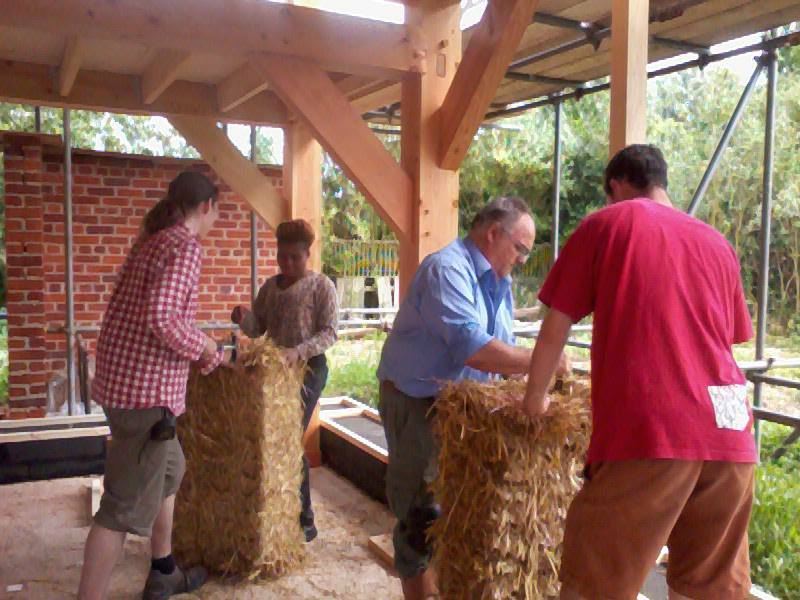 SNaB practical training is done on on site and it’s not possible here in the UK to build with straw all year round. So, there are no terms or semesters, you can join at any time. You have the opportunity to meet new people throughout your training together with familiar faces who pop up on the same modules & courses as you. And, after your interview we provide you with an individual learning contract (LC) which maps out your own specific journey. The courses are open to everyone whether or not you want to follow the full training programme.If you’d like to attend a course and not apply for SNaB, please check the website for dates and contact Eileen at eileen@schoolofnaturalbuilding.co.uk to make a booking. If you subsequently decide that you do want to take the full training, attendance on previous courses will be taken into account. SNaB offers training in natural building to help you on your path, whether you want to be a natural builder and work in construction, want to understand how these materials really work so you can design better buildings, have a general interest in the subject and want to know more, or are just looking for a fun and active way to spend your time. Becoming a Natural Builder is most suitable for people who are self-employed, or work part time, as work and training do not generally follow a linear path. Our training course is flexible and designed to fit around other commitments you have in life. SNaB operates an accreditation of prior learning system (APL) which enables previous experience to be taken into account. If you apply to the School you will be asked to fill in the APL and tell us all about your knowledge and experience in this field. The APL allows us to draw up your individual Learning Contract. Please don’t worry of you do not have any previous experience, we’re here to help change all that!